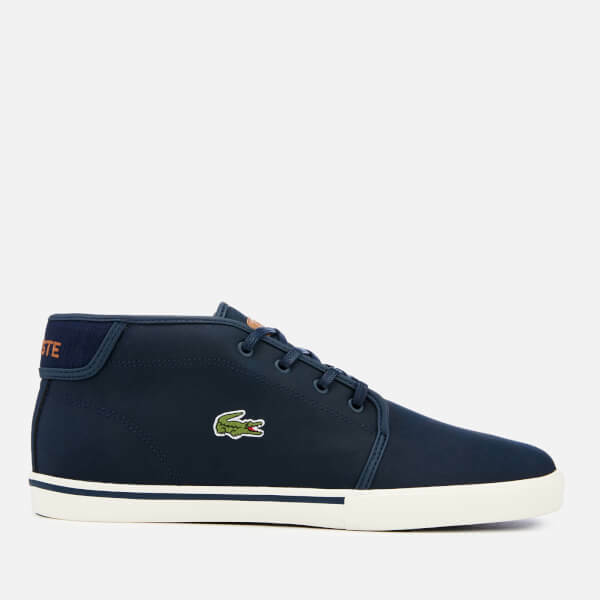 Navy chukka trainers in smooth nappa leather from Lacoste. 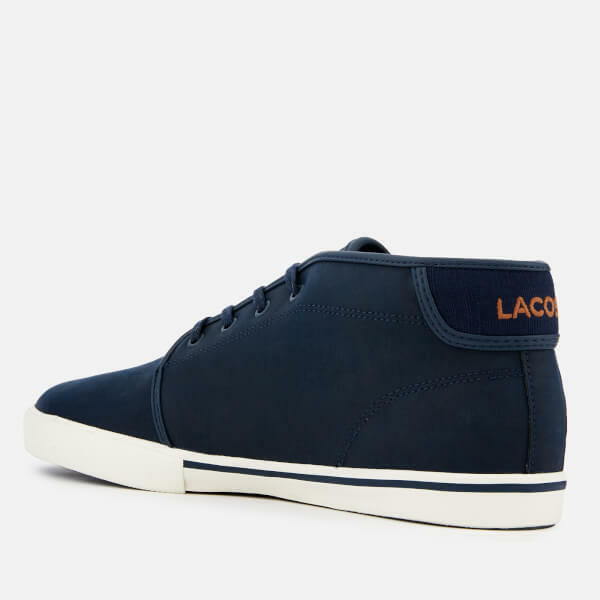 The ‘Ampthill’ sneakers feature a rounded toe, a tonal lace-up fastening and a padded ankle collar for comfort with every step. 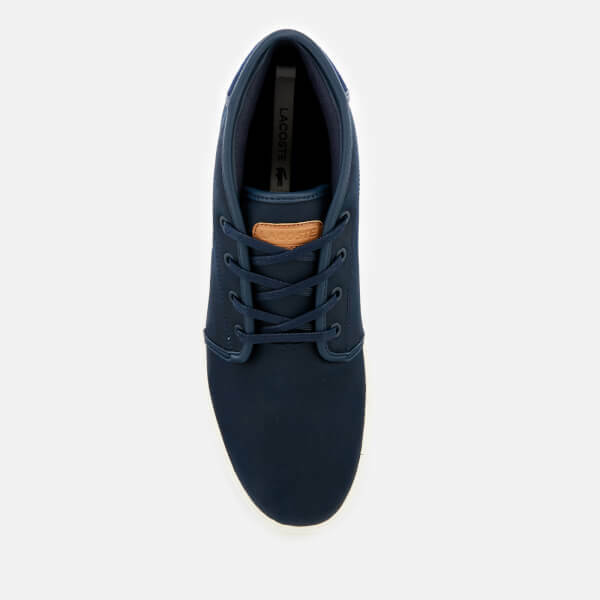 An OrthoLite insole offers improved breathability, while a contrasting rubber outsole ensures grip and support. 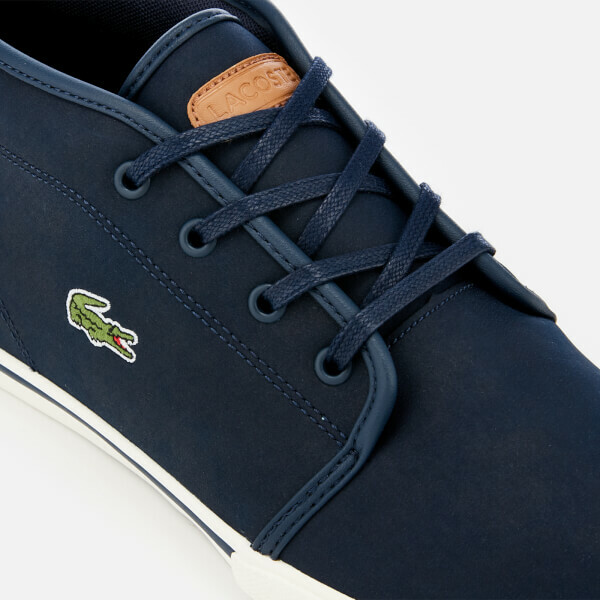 Complete with iconic crocodile branding.